Hi Peoples, it’s Julius here! It isn’t often that my mom lets me post on the blog. She says it has something to do with having to type for me and some nonsense about supposable thumbs but she said I could write all about the Julius Jamboree Pits in the Park that was last Saturday. My mom had been busy getting lots of things ready for this big Pittie Party and she even had people over to give me love and attention fold programs and load things in the van. On that morning I was busy following her around the house and sticking very close to her legs so that she would remember that I was supposed to go with her, and yet she left the house without me! I was sure that was a huge mistake and I was sad until my human sister, Asia, came to pick me up and she took me and Chance to the big celebration. When we got to the park, there were so many dogs and people that I got really excited and happy to see everyone. I saw some of my foster babies there like Diva, who used to be Godiva and Mishi who used to be Kit Kat. They were both very cute and happy to be at the park. I saw my buddy Bentley and his new sister Bitsy and my friend Rhino and his sister Boo. We all walk together on the Sunday day too so we are good friends. It was like a big party just for me and my friends, except there were so many more. The big surprise was I got to be in the kissing booth with my best buddy, Clyde. 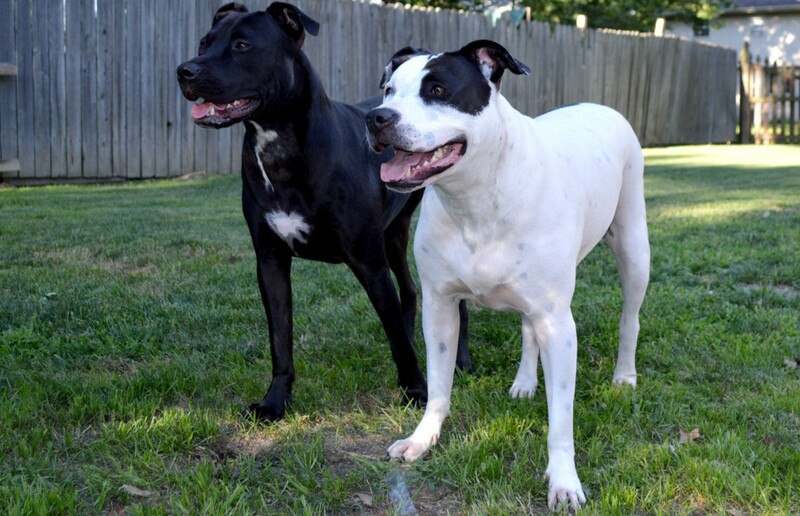 We are both very romantical guys and we love to kiss the ladies (and even the gentlemen and kids and other dogs…). 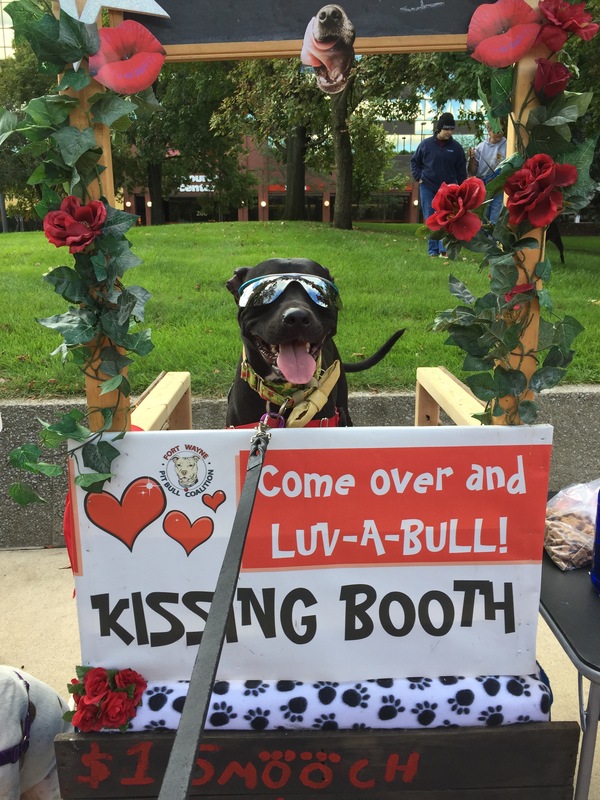 Heck, we would have just given out a lot of free kisses (and we did) but our moms said we were raising money so that other Pit Bulls could be helped. After we kissed a bunch of people, my buddy Chance and the pretty gal Eden were in the booth. Chance didn’t really like the booth much. He just wanted to sit in the grass with Asia and beg for pizza so Eden did a lot of kissing and whenever mom said I was getting obnoxious she put me back in the booth, because I didn’t bark when I was in there. 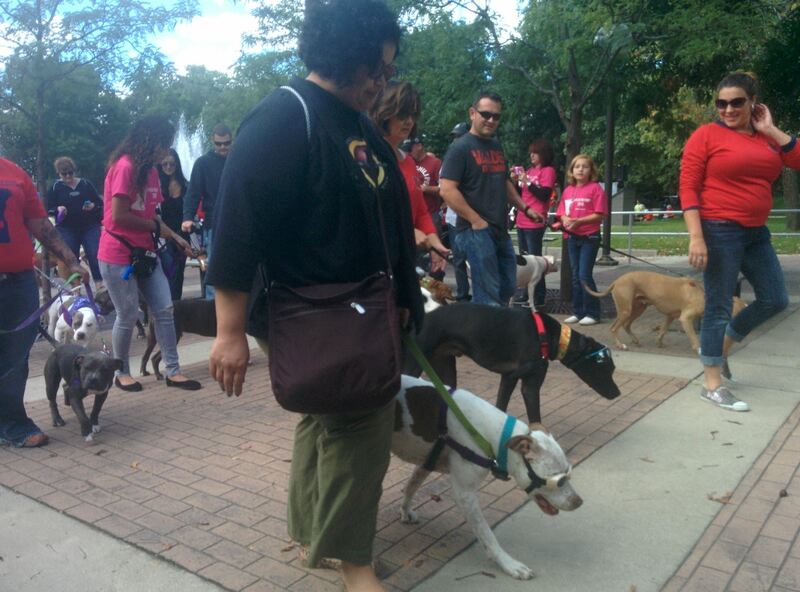 Then we got to walk around in a parade and show off all of our handsomes! Clyde and I got to lead the parade because we are more handsome than everyone else The Bully Collective was given the honor and his mom is what they call a founder. After the parade, Asia took me and Chance home while mom got to have more fun pick up trash and tear down booths. She says this is the first year that Ray didn’t get to go but that she was very proud of me and all of my good ambassador skills. 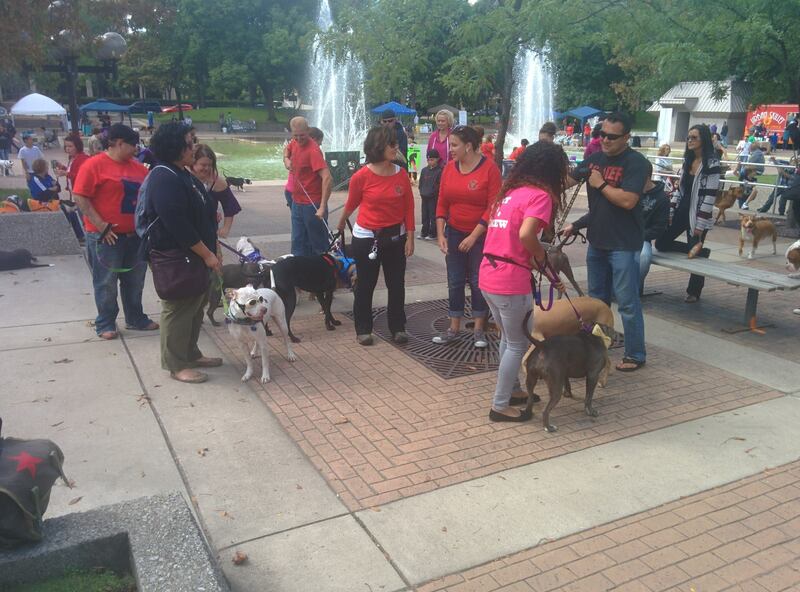 Do you have a Julius Pit Bull Celebration in your community? 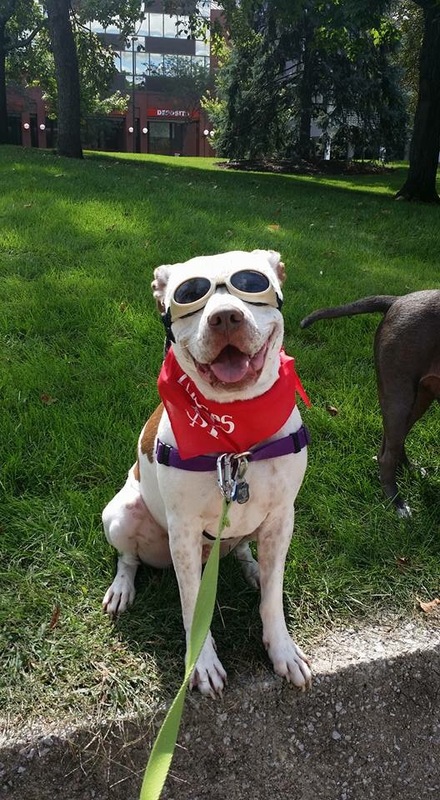 This entry was posted in As told by Julius, Julius, Peaceabull, pits in the park and tagged adopt a pit bull, As told by Julius, brothers, Clyde, Fort Wayne, Fort Wayne Pit Bull Coalition, Julius, Pits in the Park. Bookmark the permalink. That sounds like the best day ever!